The 4-step simulation is designed to train large, but variable sized, groups of participants in the four main flow methods. 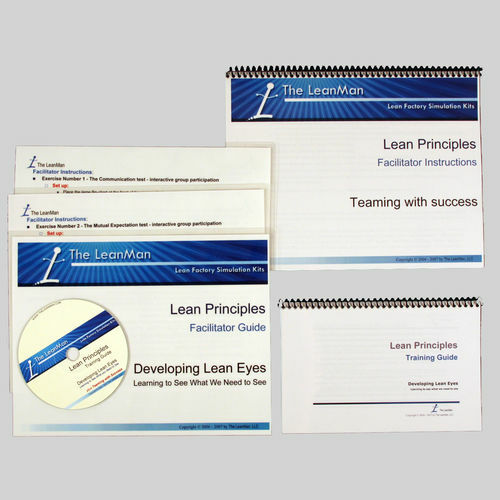 The Evolution of Lean presentation (available with the Deluxe or Deluxe-Plus Kits) begins the event and a few additional presentation materials such as Learning to See the Waste are also recommended, but will require additional time for the event. 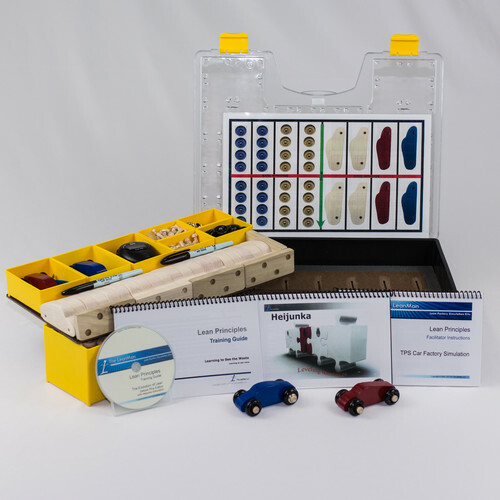 Please note: these two presentations are only available on the Deluxe or Deluxe-Plus kits. 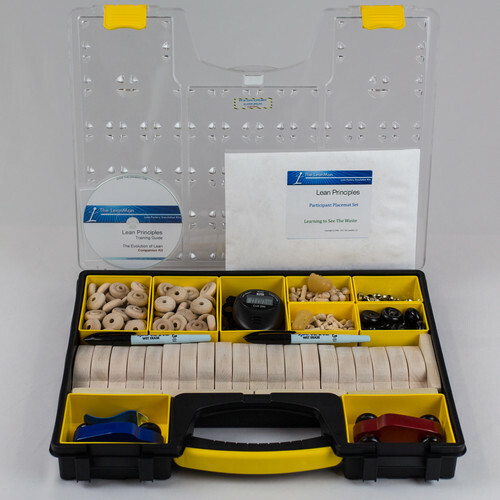 If you only have a Basic Kit you will not have these two files. 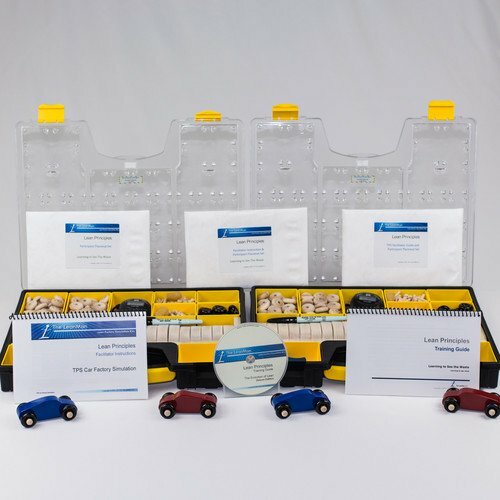 The Large Group Simulation package includes a printed and bound color 84-page facilitator guide which provides lists of things to observe and point out to the people, comments to add for clarity, and suggestions for improvement. 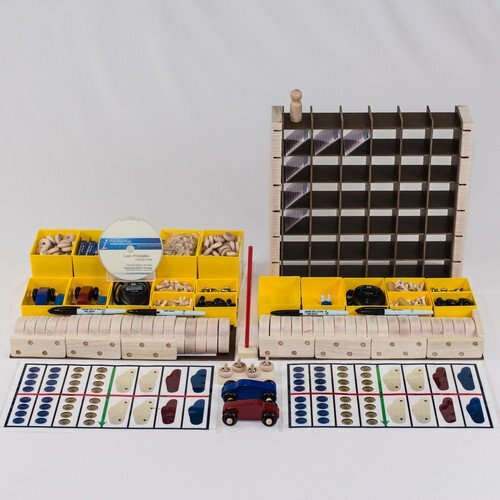 This presentation event is only usable for clients who also purchase (or have purchased in the past) one or more of the LeanMan Car Factory Kits. 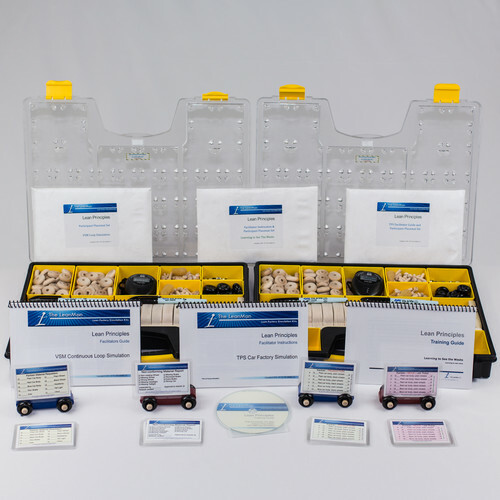 Please Note: The Large Group Simulation presentations and printable file materials are already included with the Grand Simulation Training Package . 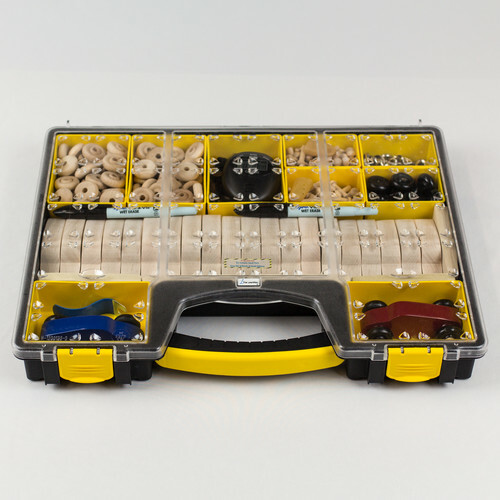 The large group exercises should be held in a training room with sufficient space to hold the tables and chairs for the hands-on participants, and allow room for the conveyance material movers to easily get from table to table. Additional participants may form an observation team, and stand near and around the tables behind the seated operators. Their job is to make observations about the process, the material flow, the occurrence of value-adding and non value-adding activities, and in general work with the facilitator to gather information to be used after the simulation for further discussion of key points. Each of the exercise events is intended to be run in sequence, and the facilitator’s notes key off each other in that sequence. 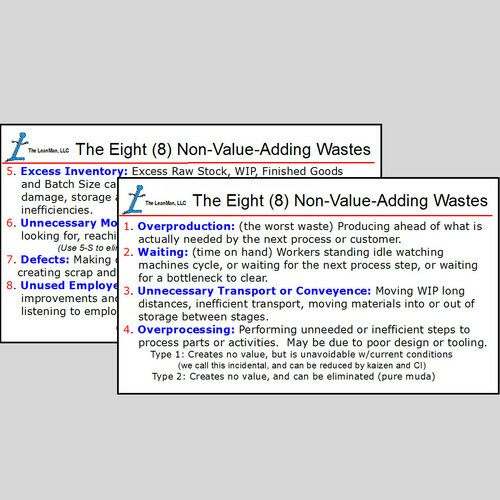 The transition from Taylor’s division of labor principles as demonstrated in the Batch ‘n Queue event, the Work Cell concepts explored in the 1-pc Push followed by the Continuous Flow 1-pc Pull, and the final Lean Flow event are a representation of how the implementation of Lean principles tends to follow these same steps as company’s take small incremental improvement in their design of operations. The facilitator’s talking points are things to look for, and point out as they happen during the simulation exercise. The facilitator should move about the class room and talk about each process type as it is being simulated, and again after each simulation. The talking points are not all inclusive, but are a start. Ad-lib your own comments about what is happening, and try to inject humor. The observers should be taking notes for later discussion. After each event the team should discuss the observed notes and the participant’s learned reactions. 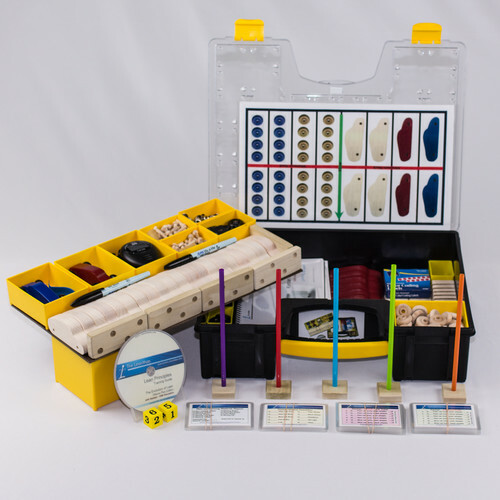 The place-mats for each hands-on participant and the Kanban squares should be printed and located at the participant tables. They will greatly aide the timing of the exercise and provide a level of comfort for hesitant participants. Do not run the exercise without them. Feel free to edit them with your company’s own logo. And of course, you should customize the exercises to include any of your company’s process methods you wish to emphasize. 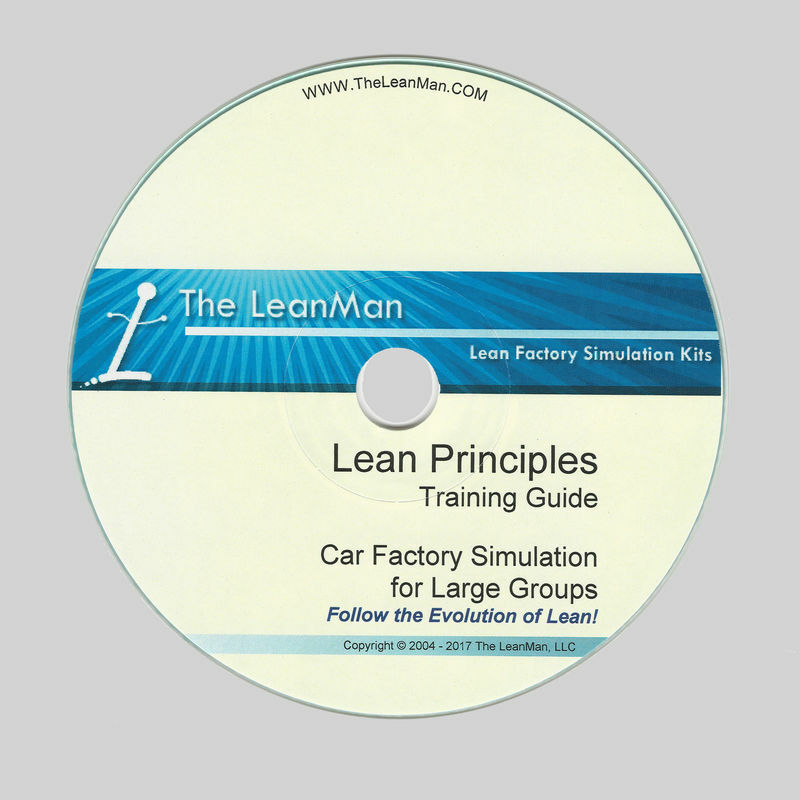 If you own or purchase a Deluxe Car Factory Kit, it includes the Lean Principles Training Guide: Learning to See the Waste. On it you will find forms and instruction for the 10-Second Test and the 15-Minute Observation. 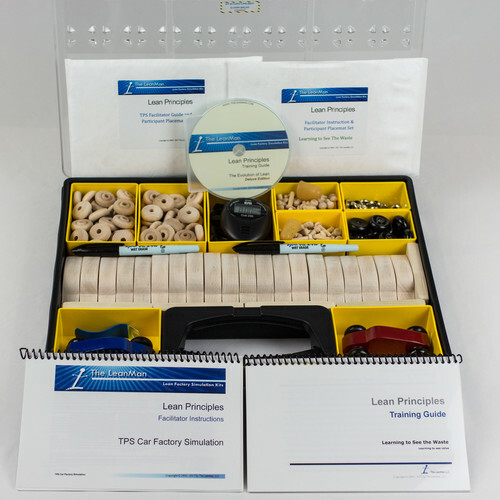 They provide an excellent method for teaching your employees to develop lean eyes, and work well with the Large Group simulation exercises. 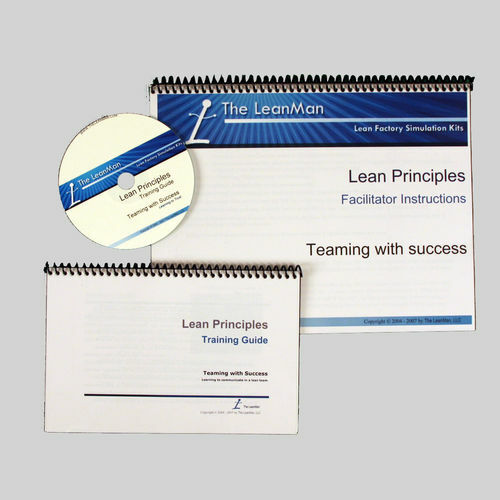 The LeanMan Basic Kit offers the more experienced Lean Principles trainer with a simple set of car factory materials to be used to support his or her own training plan.